Beneath the dim light of a full moon, the population of Cincinnati mutates into huge, snarling monsters that devour everyone they see, acting upon their most base and bestial desires. Planes fall from the sky. Highways are clogged with abandoned cars, and buildings explode and topple. The city burns. Only four people are immune to the metamorphosis-a smooth-talking thief who maintains the code of the Old West, an African-American bank teller who has struggled her entire life to emerge unscathed from the ghetto, a wealthy middle-aged housewife who finds everything she once believed to be a lie, and a teen-aged runaway turning tricks for food. Somehow, these survivors must discover what caused this apocalypse and stop it from spreading. In their way is not only a city of beasts at night, but, in the daylight hours, the same monsters returned to human form, many driven insane by atrocities committed against friends and families during. Now another night is fast approaching. And once again the moon will be full. 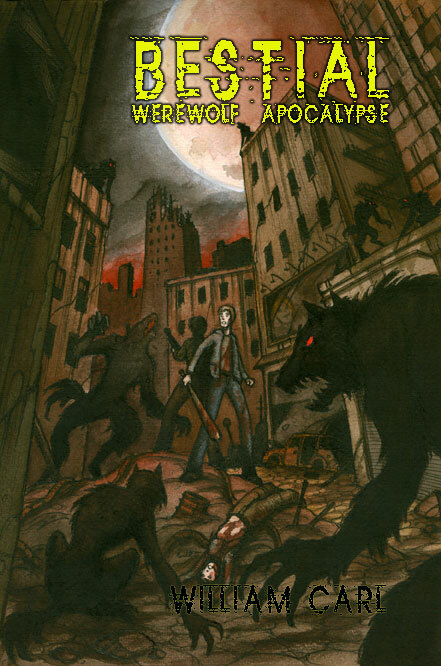 It sounds sort of like the book and movie I Am Legend but with werewolves instead of vampires. As a huge fan of apocalyptic stories this book is right up my sick and twisted alley. Reviewers have nothing but praise for the novel, saying that it’s an original story with non-stop action. The book appears to take the mythology of werewolves and mixes it with modern science, which sounds pretty rad. I look forward to picking this book up on my next trip to the books store. Have any of you read it? If so what did you think of it?